Although we don’t see it every day in the daily lectionary, in the Sunday readings for worship, the Third Sunday in Advent sees a turn—from thinking of eternal things and the last judgment and all the themes that are drawn from that, to intentional focus on the coming of the babe of Bethlehem. The Third Sunday of Advent was traditionally termed “Gaudete Sunday,” or Sunday of Joy. The color for the day was rose or pink, to remind us in the increasing darkness of winter and the long season of Advent that joy is coming! We read Isaiah 9:2-7 on Christmas Eve as we hear the prophecy of the coming child to be born to us—the Son of God who would be our Wonderful Counselor, Prince of Peace, who would bring never-ending peace! What a message of hope and joy in the midst of the season of Advent, but even more, in the midst of this troubled generation. We do indeed live in a land—yes, a world—of deep darkness as terrorism, violence and division continue. We need the prophecy and the promise now more than ever! 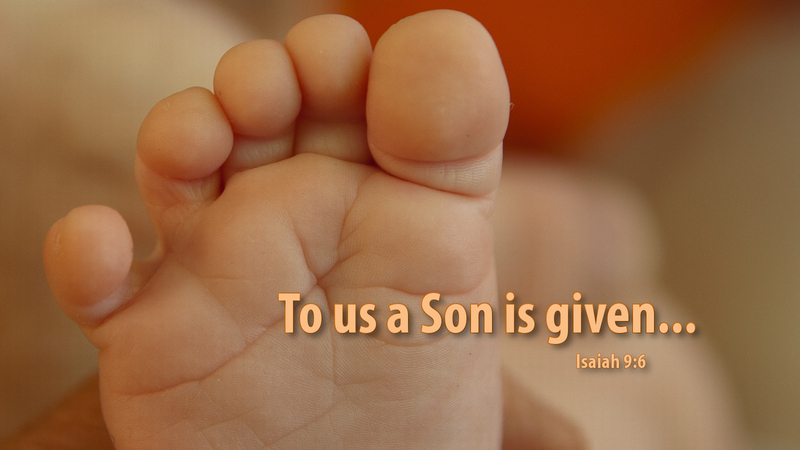 Prayer: Father in heaven, we give thanks for the child born for us—Jesus Christ. May he bring everlasting peace—now! Amen. Advent Action: Even if you haven’t been keeping an Advent Candle Wreath in your home—light a candle for joy and peace!